Life is always an adventure and everyday can be a learning experience, but you must dive into the unusual and make yourself a little uncomfortable to discover something new. I have spoken before about my cravings for the unfamiliar, but I realize I do not always have to travel to fulfill this feeling. Yesterday, I was invited to join an improv comedy group. Acting scares me. I like to be myself and I don't want to pretend to be anything else for the entertainment of an audience. But with a little pressure from a friend, I decided that I will give it a try. Who knows what I will gain from the experience! 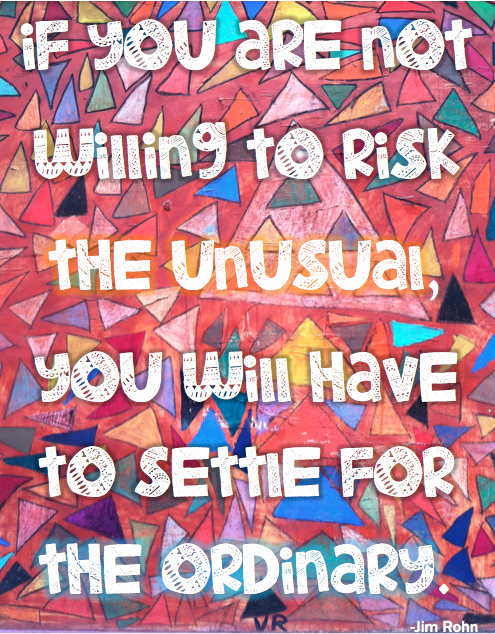 What unusual are you adding to your ordinary life?